If we don't defend the bison, we may lose them because, if left in the hands of the Interagency Bison Management Plan, they will surely vanish. I attended the Interagency Bison Management Plan (IBMP) meeting on Wednesday, December 8, 2010, and was completely flabbergasted. I heard more talk about how to discuss the issues than any discussion on the issues themselves. I heard a lot of talk like vaccination, quarantine and trapping. I don't believe these are effective ways to manage wildlife. From every one of the public comments after the meeting, I would say the citizens of Montana agree with me. The Department of Livestock clearly doesn't want any bison to set foot in Montana and would be happy to gun them all down. 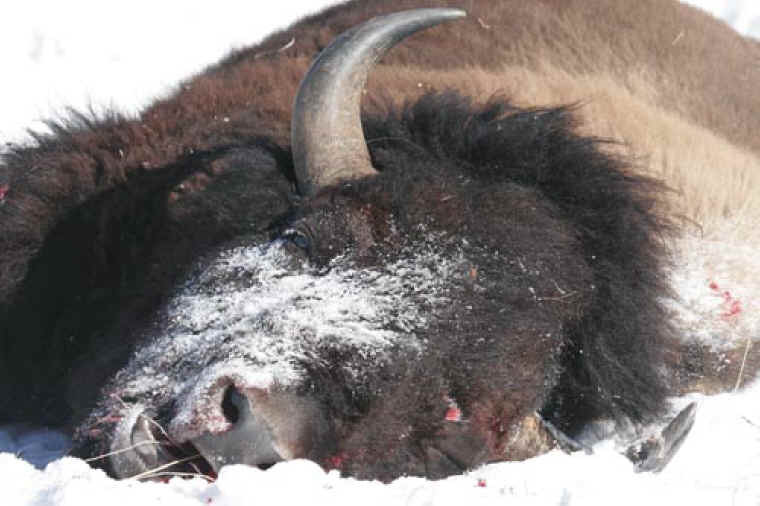 Fish, Wildlife and Parks is willing to listen to the people's cries of more habitat for wild bison, but only if they increase the number of hunting tags ensuring death upon all that access it. APHIS wants to radio collar and probe bison orifices as a means of testing before they would agree to allow any in the state. Who knows what the Forest Service wants because it seems the only reason Mary Erickson is at these meetings is to talk in circles. The only logical thing any Montana resident can do to preserve the integrity of America's animal, the great Bison, is to immediately call for the dissolving of this council of people who want to harass, slaughter and destroy the only population of truly wild, genetically intact bison on the planet. If we don't defend them, we may lose them because, if left in the hands of the IBMP, they will surely vanish.